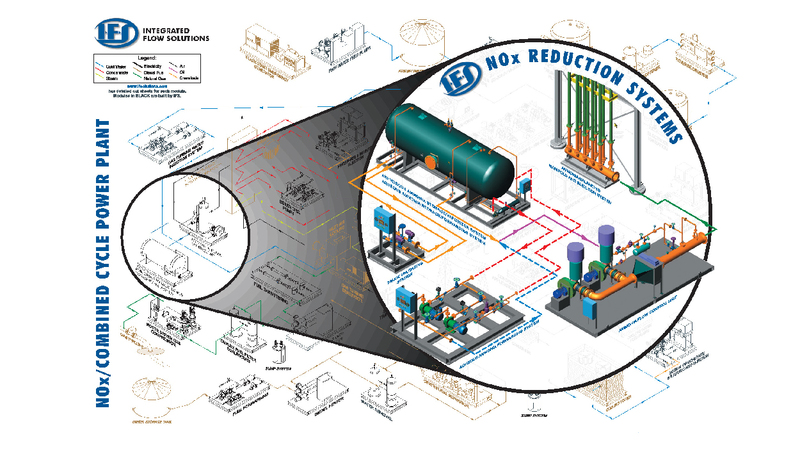 Integrated Flow Solutions Heat Transfer/Hot Oil Systems are designed to store and transfer heat transfer fluids used for industrial heating. 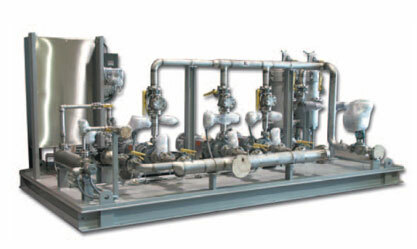 The heat transfer fluid is normally stored in an elevated insulated vessel skid mounted. Special high temperature centrifugal pumps are used to circulate the heat media fluid from the storage tank through an electric process heater, gas fired heater or exhaust heat exchanger. The heat transfer fluid’s elevated temperature is then used to safely heat a process system and is then returned to the storage vessel.